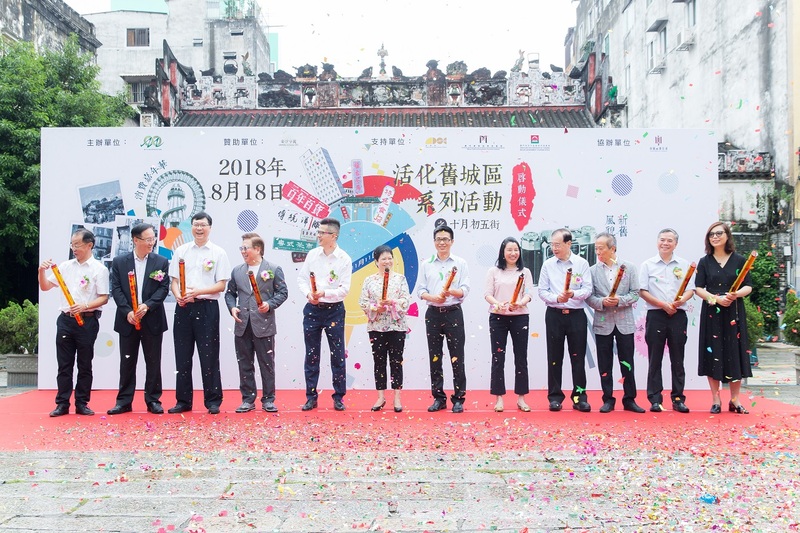 (Macao, Aug. 19, 2018) – Sands China Ltd. is supporting the Old District Revitalization Series – Rua de Cinco de Outubro, taking place now until Nov. 11 in the old district area of Macao. 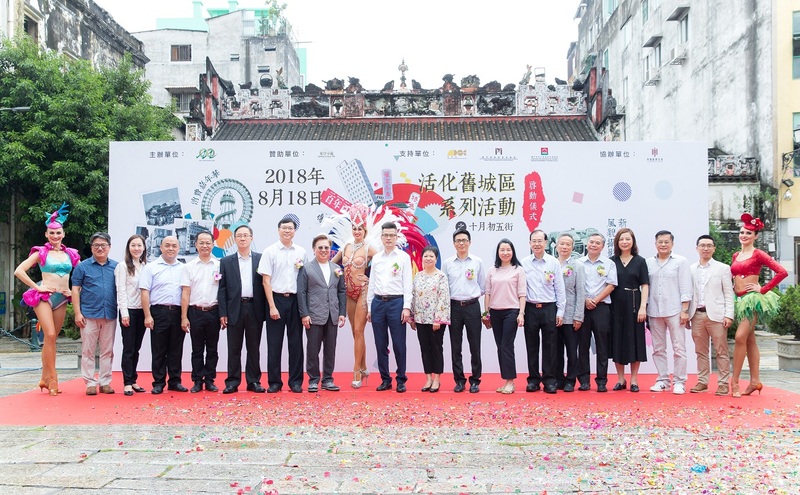 Organised by the Macao Association for Promoting Community Economic Development, the initiative launched with a kick-off ceremony Aug. 18, and features two events: the Old District Photo Event and a Shopping Carnival. The Macao Economic Bureau, the Macao Government Tourism Office, and the Macao Trade and Investment Promotion Institute are supporting organisers. Sands China’s support of the event is part of the company’s ongoing corporate social responsibility efforts to support the Macao community after Typhoon Hato. 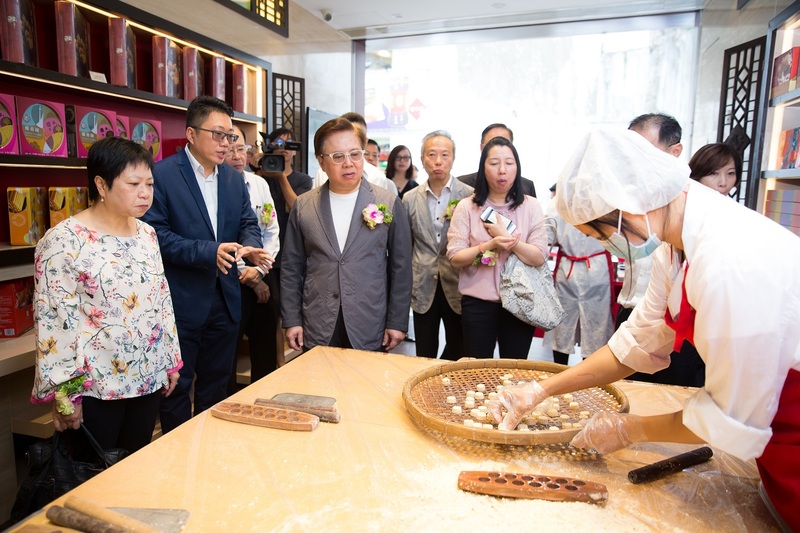 The aim of the revitalization project is to help SMEs and the community in the old district area attract more customers and tourists, thereby encouraging a speedier recovery and revitalization of the district. More than 50 local SMEs are participating in the initiative. In the Old District Photo Event, members of the public have the chance to receive gifts and win prizes by taking and uploading photos of the old district. Prizes provided by Sands China include first-class and standard Cotai Water Jet ferry tickets, tickets to the Eiffel Tower observation decks at The Parisian Macao, hotel accommodation at The Parisian, and food and beverage vouchers. At the Shopping Carnival, local SMEs from the old district will showcase their products to the public, with Sands China providing street entertainment each weekend, featuring cast members of the La Parisienne variety show. Entertainment includes comedic performances, the French cancan dance, and other acts. Performances take place 4:30 p.m. every Saturday and Sunday, excluding Sept. 22, Oct. 28 and Nov. 11. Sands China is providing complimentary shuttle bus transportation for the event, to and from the Largo do Pagode do Bazar Hong Kung Temple on weekends. Pick-up times at The Parisian Macao are every half hour from 11 a.m. to 6 p.m. on Saturdays and Sundays. 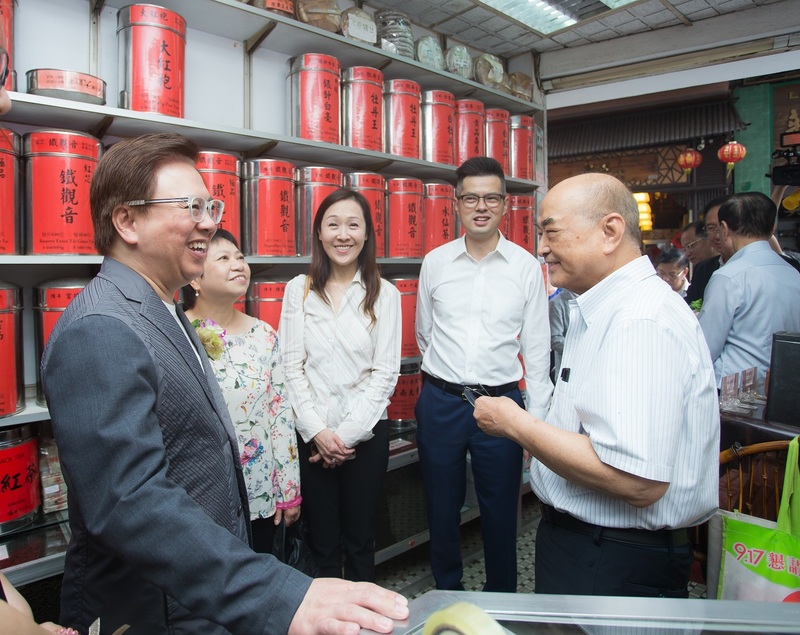 Sands China Ltd. considers initiatives like its support of the Old District Revitalization Series as central to its commitment toward social causes and community involvement. Sands China’s community work is part of Sands Cares, the global corporate citizenship programme of parent company Las Vegas Sands Corp.
District Revitalization Series – Rua de Cinco de Outubro, which is taking place now until Nov. 11 in the district. Photo caption: Officiating guests participate in Saturday’s kick-off ceremony for the Old District Revitalization Series – Rua de Cinco de Outubro, and shop in the district.